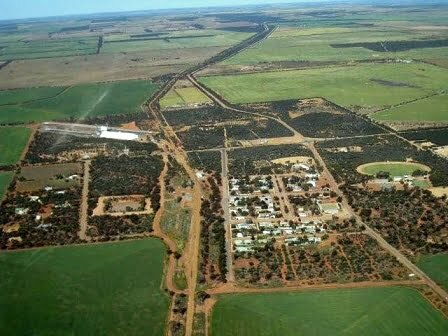 Beacon is a small town in the north-east wheatbelt in the Shire of Mt Marshall, approximately 320km north-east of Perth. Public Amenities & Wheelchair Access toilets at Beacon Town Hall in Hamilton St. Unisex Public Toilet & "Dump Point" in Lucas St, adjacent to Information Bay. A disabled toilet is situated in Beacon Central, open during business hours only. 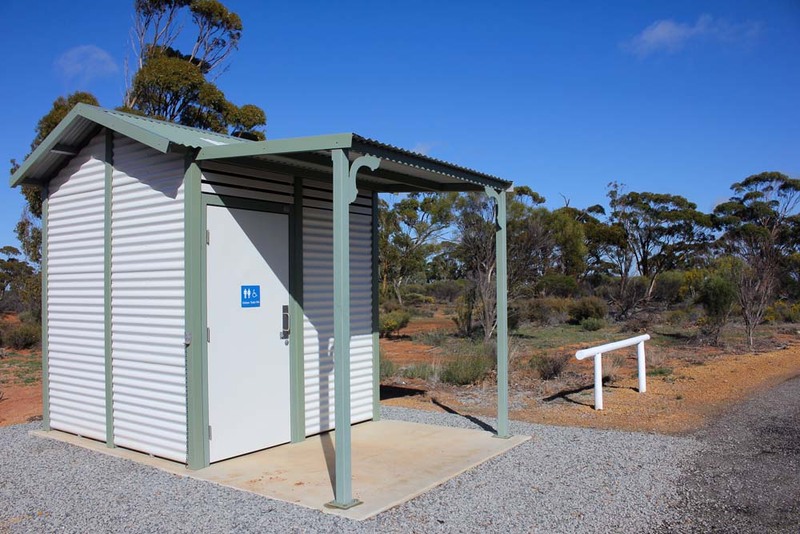 Disabled access showers & toilets available at Beacon Caravan Park. Disabled unisex toilet at Sporting Complex. Beacon experiences hot dry summers from Dec to Feb with average day time temperatures ranging from 25°C to 45°C. Mild to cool wet winters average day time temperatures from 9°C to 24°C. Overnight temperatures can be very cold, 0°C to 5°C, with frosts common during Jul and Aug. 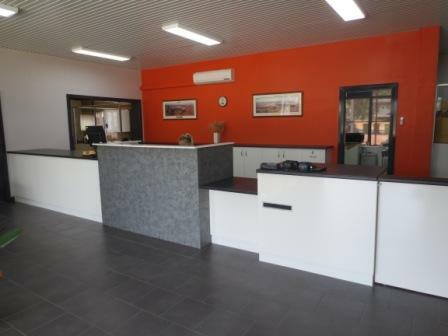 The Beacon township has excellent facilities which include the Community Resource Centre, Town Hall, Primary School, Recreational Complex, Bowling Club, Mens Shed, Caravan Park, skate park & children's playground. Community organisations & sporting bodies are numerous within the district. The district is made up of both pastoral and cropping country and has numerous granite outcrops and nature reserves that put on a magnificent wildflower display in season. 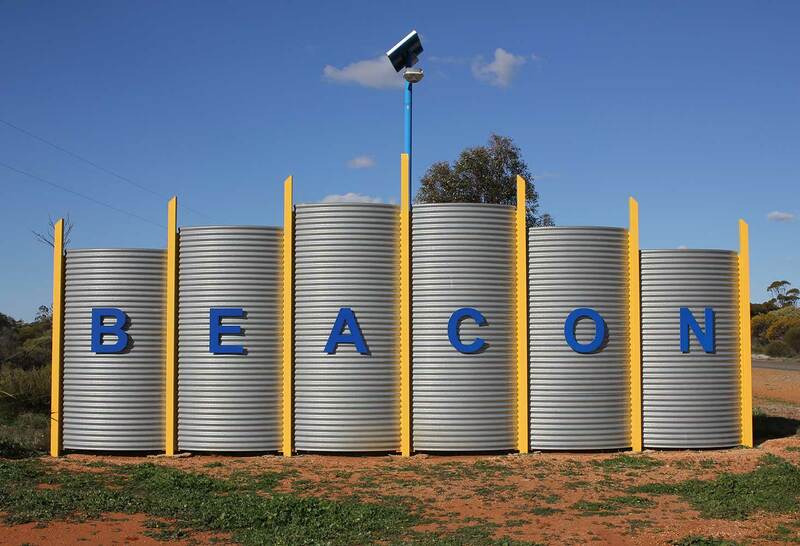 Beacon (town population approx 100) acts as a service centre for the large surrounding district, a total of approx 300 people, and in turn is reliant on agriculture – mainly wheat & mixed grains along with sheep for wool & meat. Secondary industries & businesses that support agriculture dominate the town economy. An information Bay is located on Burakin-Wialki Road opposite Beacon General Store. The Shire of Mt Marshall services the towns of Beacon and Bencubbin and the localities of Cleary, Wialki, Tampu, Gabbin and Welbungin. Lt James Septimus Roe, Surveyor General of the Swan River Colony explored the Mt Marshall district in 1836. 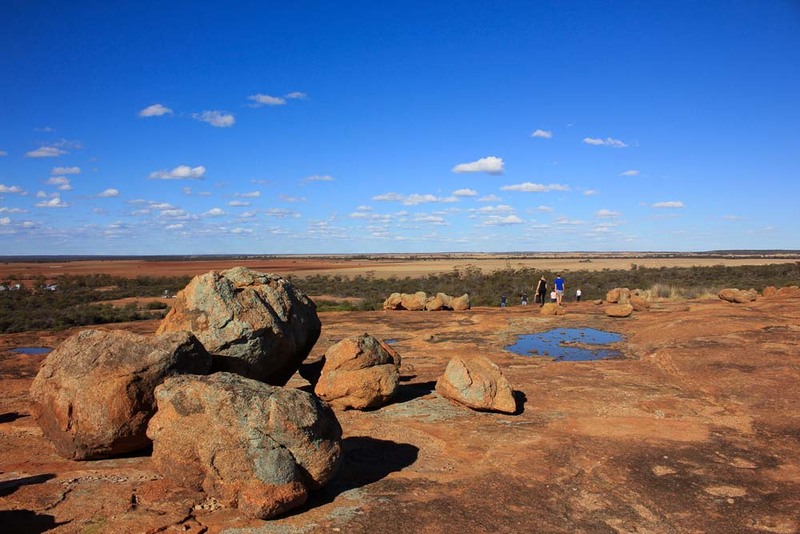 Other explorers, Robert Austin, AC Gregory, FT Gregory, John Forrest, Surveyor H King made records of all the water points and named them, along with many hills and rocks as they travelled through on their way to Shark Bay and other far off places. In 1889 Surveyor H King traversed the Mt Marshall district and it was not long after this that land was thrown open to agriculture in the areas around Bencubbin. 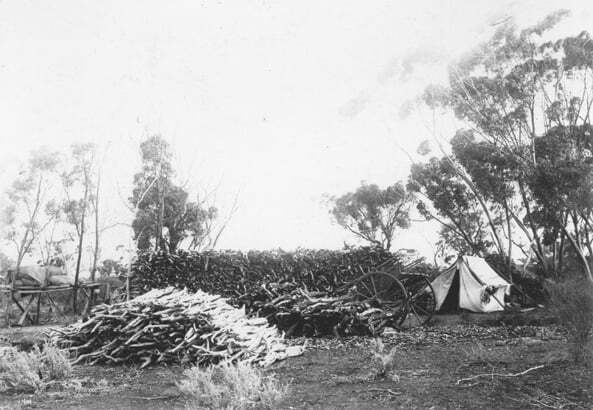 It is recorded that shepherds were in the district from 1870 and it is thought the sandalwood cutters came in the 1880's after a boom in sandalwood prices. The area was opened to pastoral leases as far north as Datjoin in 1872. Sandalwood cutters were very active in the district around Beacon from 1880's and they extended further north in the 1920's when the industry was thriving. The sandalwood cutters used the water points recorded by the early explorers and in later days the sandalwooders tracks were used by early settlers linking them to many areas. Public Amenities & Wheelchair Access Public toilets, including wheelchair access/disabled toilets, are situated at the Beacon Town Hall/Community Centre in Hamilton Street. These amenities are open all hours. Unisex Public Toilet & “Dump Point” adjacent to the Information Bay in Lucas Street, opposite the Beacon Coop. A disabled toilet is also situated in Beacon Central, open during business hours only. Disabled access showers and toilets are available at the Beacon Caravan Park. 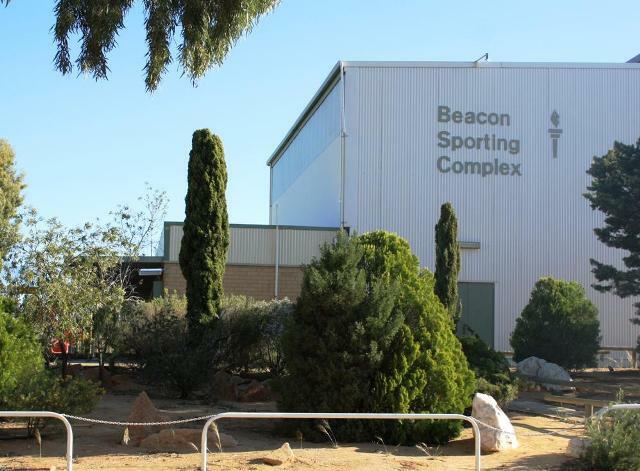 Disabled unisex toilet has been installed at Beacon Sporting Complex. Beacon experiences hot dry summers from December to February with average day time temperatures ranging from 25°C to 45°C. The mild to cool wet winters average day time temperatures from 9°C to 24°C. Overnight temperatures can be very cold, 0°C to 5°C, with frosts common during July and August. The town is influenced by strong east to north-easterlies from spring to summer, variable in autumn and south-west to southerly winds in winter. 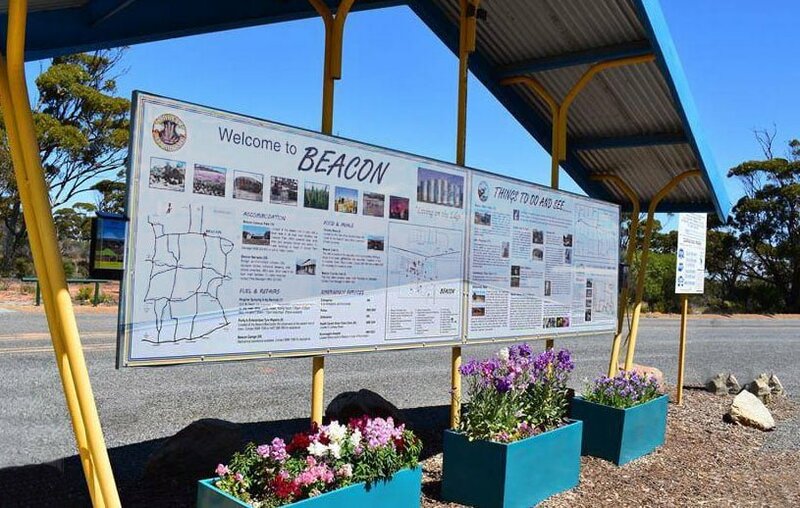 Beacon (town population approx 100) acts as a service centre for the large surrounding district, a total of approx 300 people, and in turn is reliant on agriculture – mainly wheat and mixed grains along with sheep for wool and meat. Secondary industries and businesses that support agriculture dominate the town economy. The town is made up of a diverse group of people including stock and station agents, spraying contractor, tyre repairer, mechanic, general store managers, health clinic nurse, Country Club managers, CBH grain handlers, transport businesses, earthwork contractors, school teachers, shire staff, farmers, retirees, bus contractor, and other business employees. The Beacon township has excellent facilities which include the Visitor Centre/Community Resource Centre, Town Hall/Community Centre, Primary School, Recreational Complex with grassed oval and gym, Bowling Club, Mens Shed, Sandalwood Dray Shed, War Memorial, Caravan Park, accommodation units and budget “Barracks” accommodation, children’s playground and skate park. Community organisations and sporting bodies are numerous within the district. An information bay is located on Burakin-Wialki Rd opposite Beacon General Store. Further information is available from Beacon Visitor Centre or from the Shire of Mt Marshall. Beacon Central houses the Beacon Central Community Resource Centre, Visitor Centre, Bendigo Bank Agency, Beacon Bulletin Newspaper, Library, Landcare Office, Herbarium and a meeting/conference room. 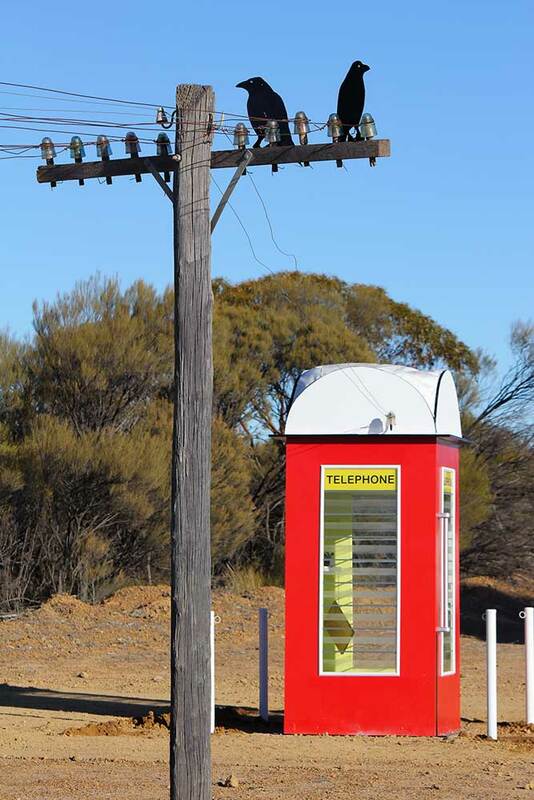 Phone Beacon CRC for enquiries, tourist information or bookings on (08) 9686 1014. Beacon Central has a free mobile hotspot in and around the building. Mon to Fri 9am – 3.30pm (except Thurs open 9am-4pm). Newspaper published by volunteer editors & assemblers each week (excluding school holidays). Deadline for advertisements Tuesday 12noon. 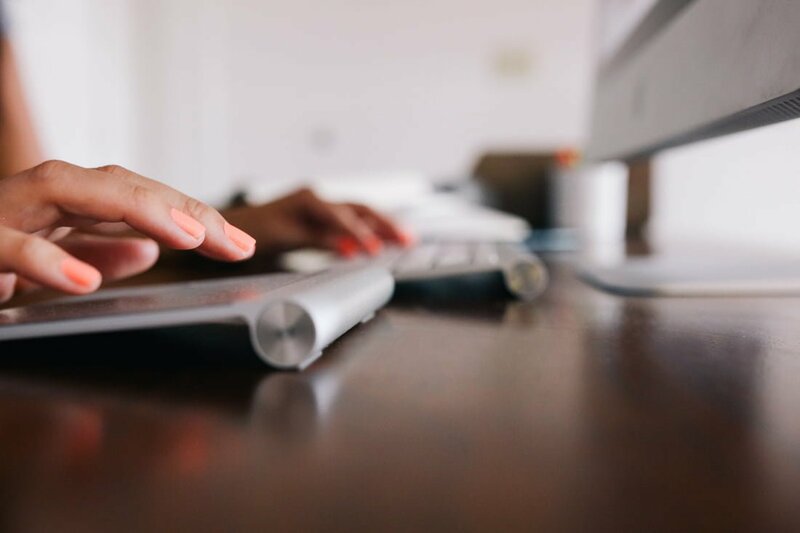 The Beacon Bulletin is now available via email subscription. Please contact beaconbully@bigpond.com for further information. 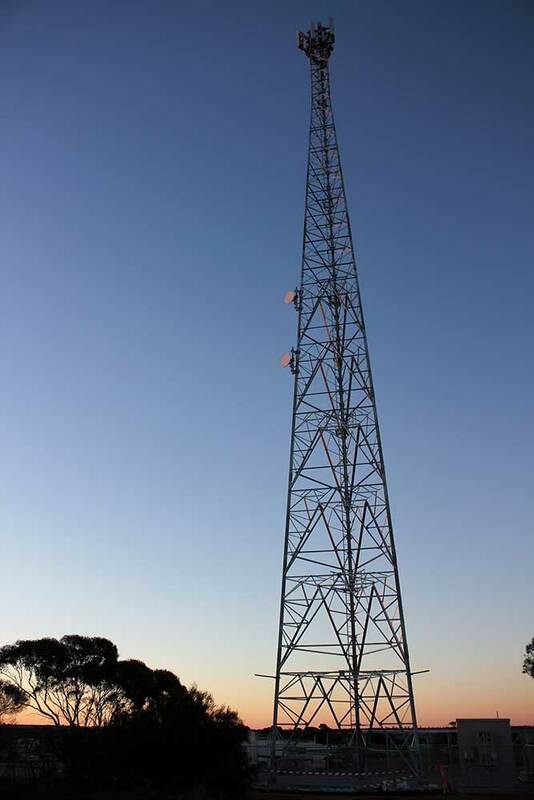 A Telstra mobile phone tower located east of the Beacon town site commenced operation in 2017, significantly improving the mobile service in the town. The wider Beacon region has limited 3G and 4G mobile phone coverage. 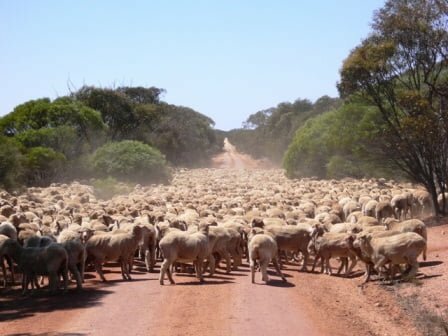 It is recorded that shepherds were in the district from 1870 and it is thought the sandalwood cutters came in the 1880’s after a boom in sandalwood prices. The area was opened to pastoral leases as far north as Datjoin in 1872. Sandalwood cutters were very active in the district around Beacon from 1880’s and they extended further north in the 1920’s when the industry was thriving. The sandalwood cutters used the water points recorded by the early explorers and in later days the sandalwooders tracks were used by early settlers linking them to many areas. Surveyors had been at work since 1921, dividing the country into 1000 acre blocks. A number of blocks were allocated after the paying of a fairly stiff survey fee. George Shemeld is acknowledged as being the earliest Beacon pioneer, taking up land in 1922. Interested settlers formed the North Bencubbin Railway League in 1924 to extend the railway line to the Beacon Rock area. Land at Beacon was not officially opened for selection until 1926 with further development of the area 25 km north of Beacon coming about after the railway line was laid from Kulja – Bonnie Rock in 1931. More land was opened for farming in the Tampu – North Beacon area out to the vermin fence in 1965. Website Photos courtesy of Rachel Kirby, Jenni Bunce, Roz Anstee, Vanessa Munns, Samantha Huckstep.